What is the best way to fix a blogging drought? Commit to blogging every day for a month! November is National Blog Posting Month (NaBloPoMo), a global event where bloggers commit to posting every day for the entire month. I enjoyed the challenge last year. Considering my track record with posting this year, it will be a good way to get back into the writing habit. I recently attended the PMI Leadership Institute Meeting in Phoenix, AZ, so I have plenty of inspiration from that could easily fill a month’s worth of posts. One of the highlights was Joseph Flahiff launching his book Being Agile in a Waterfall World at the PMI Global Congress following the Leadership Institute Meeting. 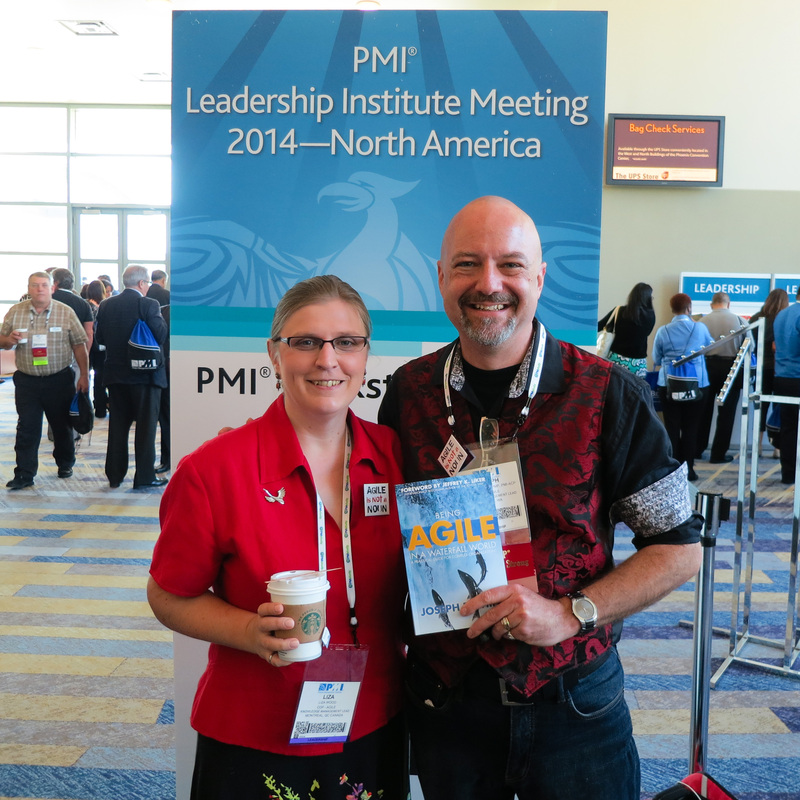 Joseph and I are leaders on the board for the PMI Agile Community of Practice. When he first told us he was writing a book about what it means to be nimble (the original definition of agile) in any organization, I couldn’t wait to read it. Unfortunately, the PMI bookstore was keeping the books for the Global Congress, so I wasn’t able to get a copy. One is on the way and I plan to review it. In addition, I will be attending Agile Development Conference East in November. I am really looking forward to the tutorials, presentations and especially the Agile Leadership Summit where I hope to learn from the Agile transformation experiences of major corporations. If it is anything like the Leadership Institute Meeting I am also looking forward to meeting and talking with a variety of interesting leaders. With all the inspiration from two conferences within a month, there is no excuse for me not to blog every day. Hope you enjoy it and will share your thoughts in the comments along the way.